Hammett/Hetfield/Ro. Very Good. In very good packaging. 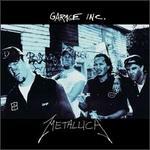 Metallica-St. Anger [CD + DVD] by Metallica. Hammett/Hetfield/Ro. Very Good. In very good packaging. Metallica-St. Anger by Metallica. CD has some scratches on it. Case is in good shape. Has booklet and excellent artwork. We take great pride in accurately describing the condition of our books and media, ship within 48 hours and offer a 100% money back guarantee. International customers please contact us in regards to shipping to your location. We take great pride in accurately describing the condition of our books and media, ship within 48 hours, and offer a 100% money back guarantee. Good. Music CD. Disc shows signs of wear but should play with no difficulty. In the event of a problem we guarantee full refund. Stored in sealed plastic protection. 2003. Music CD.